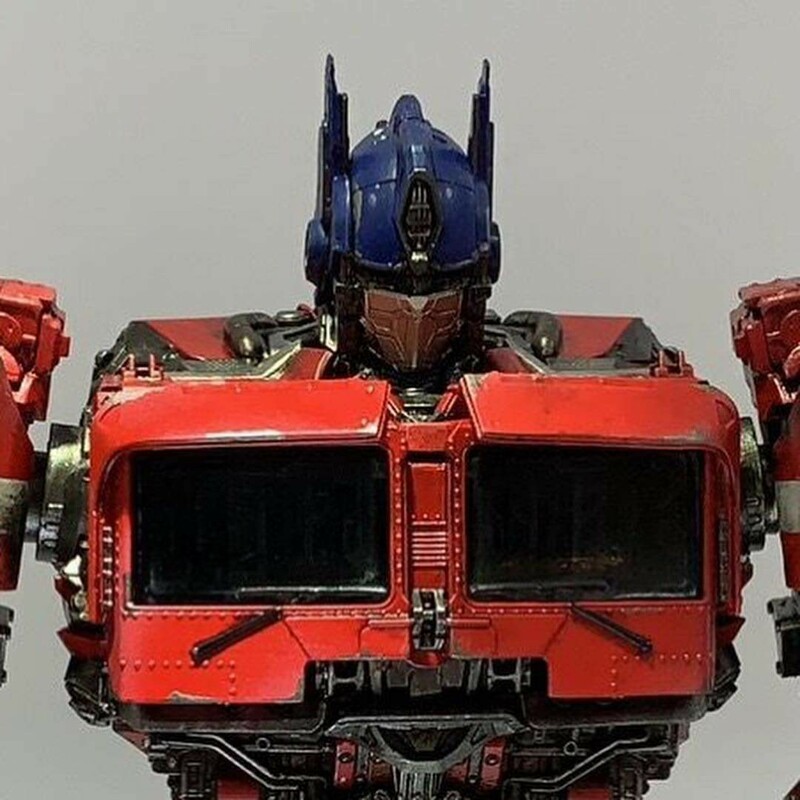 Did you like the redesign of Optimus Prime in Travis Knight's Bumblebee movie? 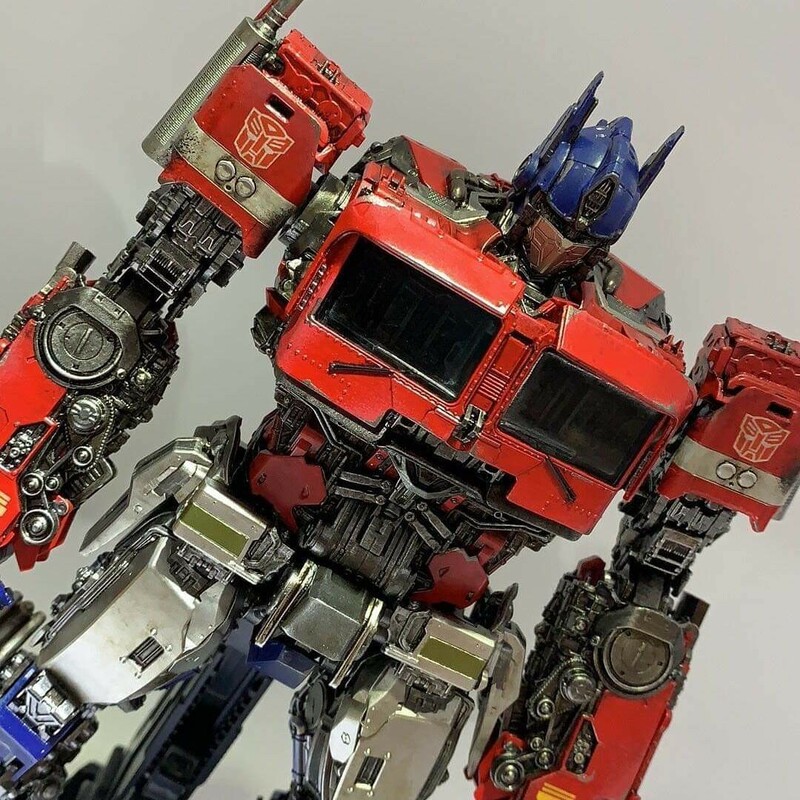 Well we have some brand new images of 3As Bumblebee Movie Optimus Prime non-transforming action figure! 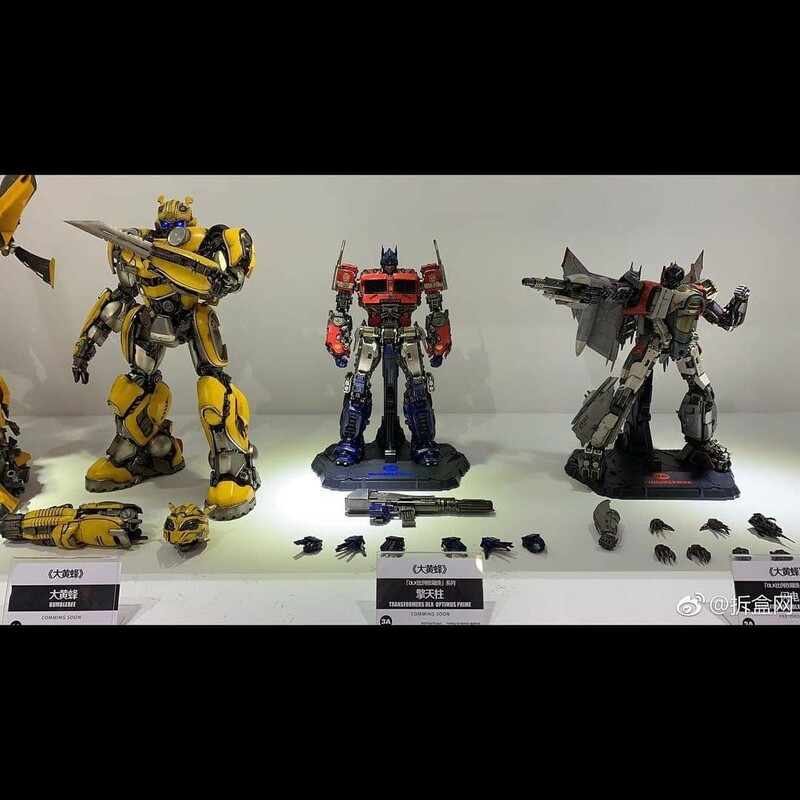 The images appeared on 4Evers Facebook page and show Prime next to 3As action figures of Bumblebee and Blitzwing (from the same movie). 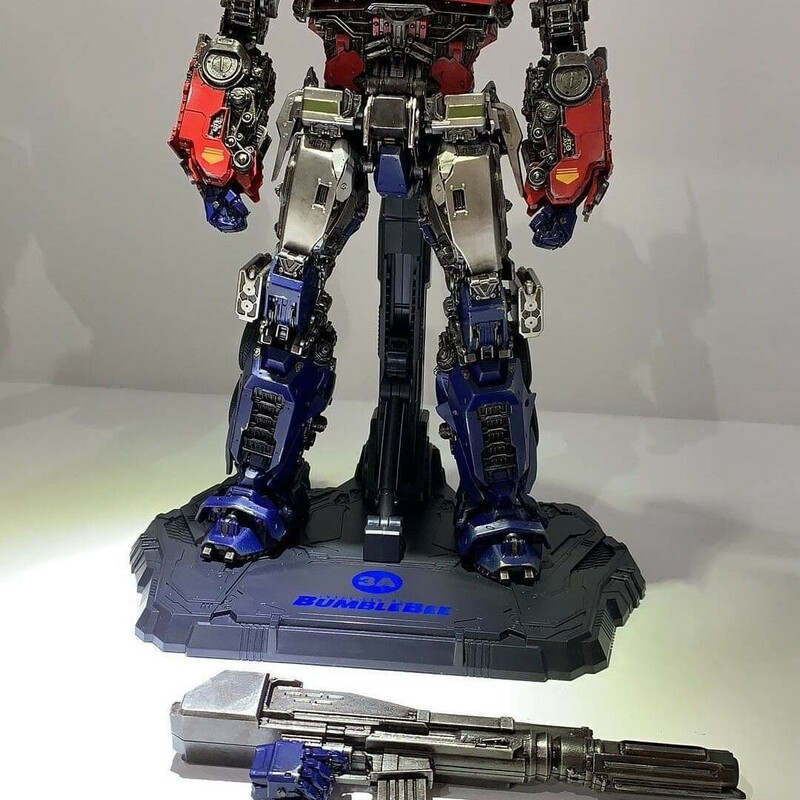 It also shows the range of hands included and his iconic rifle. We have mirrored the images below for your convenience. 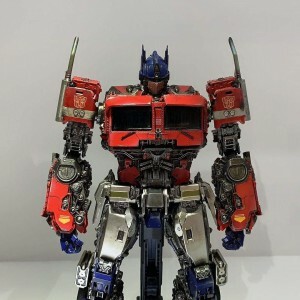 What do you think of this figure? Will you be adding it to your collections as a nice display piece? 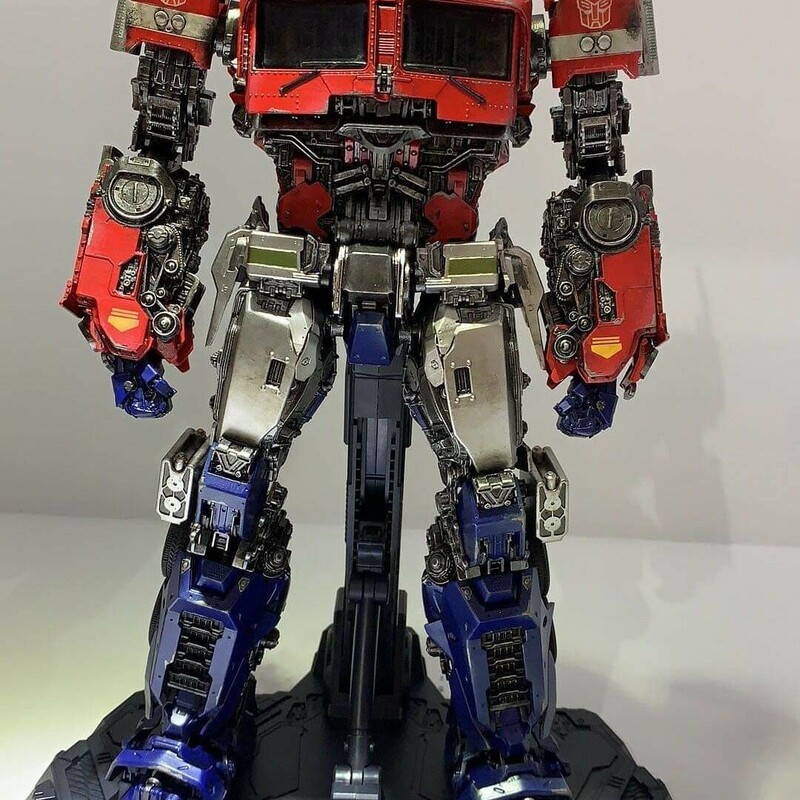 Let us know in the Energon Pub and stay tuned to Seibertron for all the latest news and reviews! 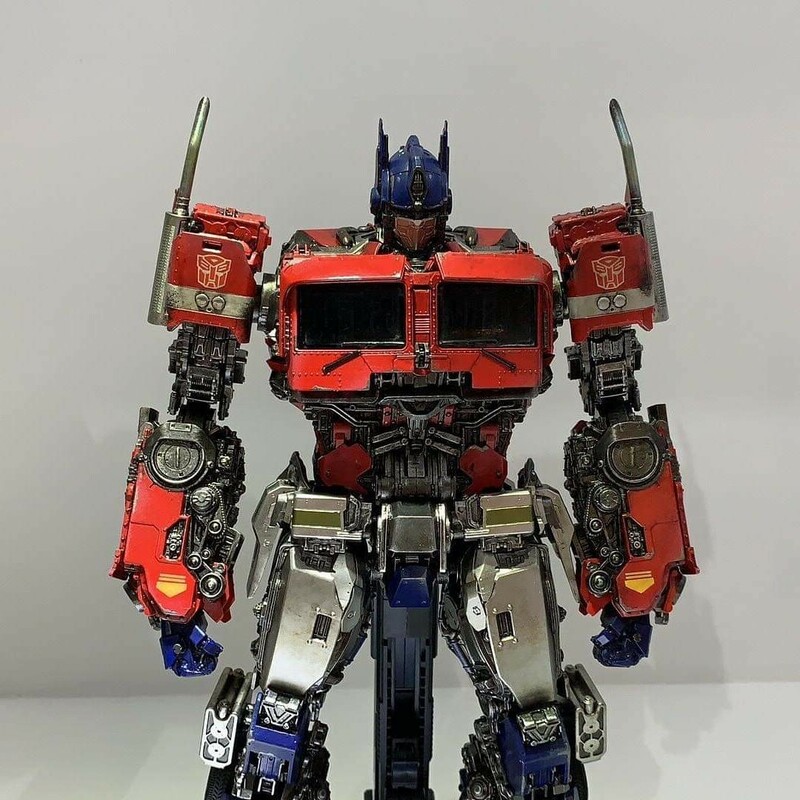 It looks really good,but he looks more a like a semi articulated toy,than a statue. Its too expensive for me right now,but I'm happy for those who can afford it. 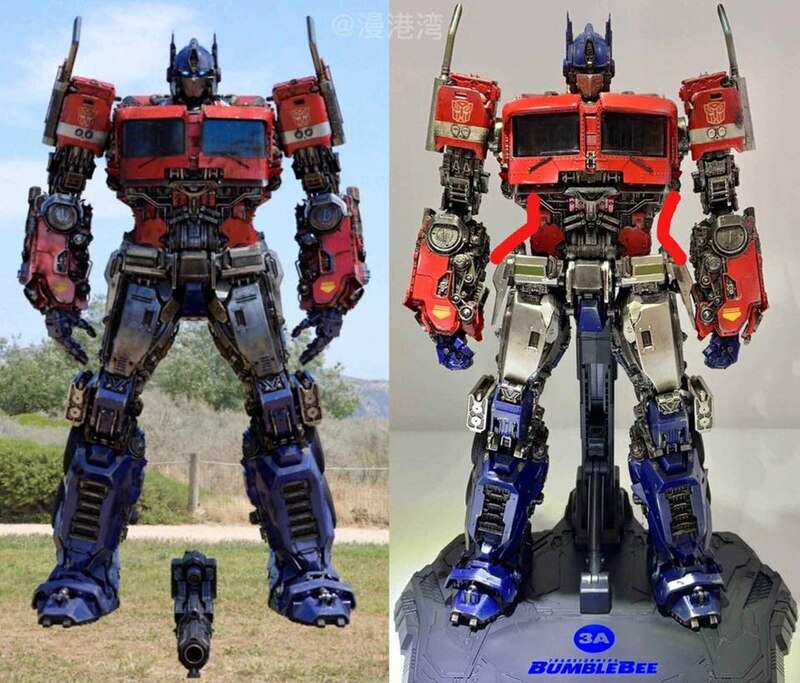 TulioDude wrote: It looks really good,but he looks more a like a semi articulated toy,than a statue. That's cuz he is a fully-articulated figure; the article is mislabeled. 3A makes articulated figures, not statues. Isn't this an action figure though and not a statue? 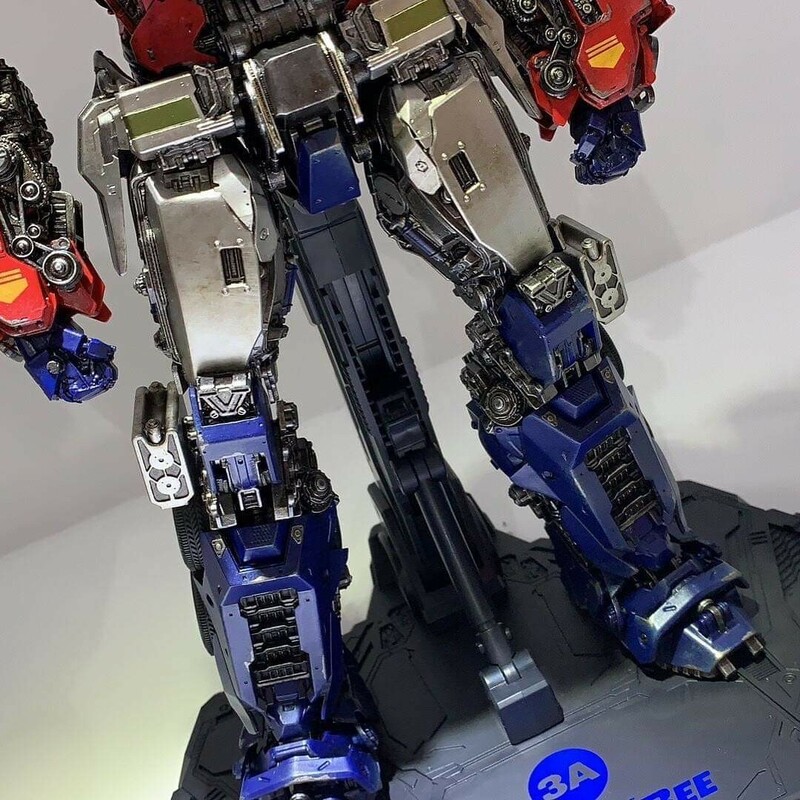 Also not a bash on the figure at all, but personally I prefer the look of the Studio Series one. 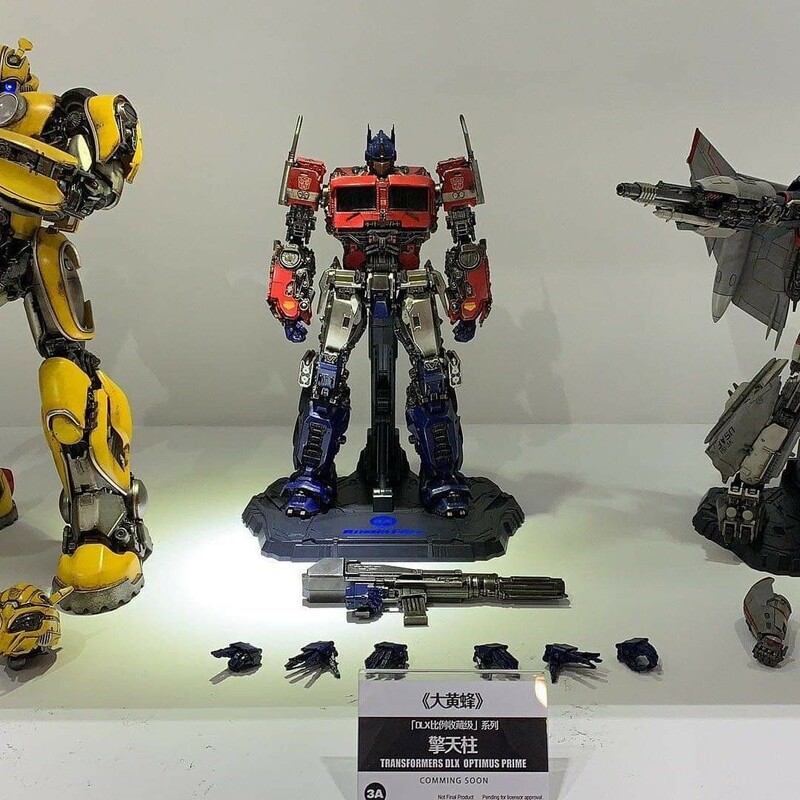 Looks more uniform and how I remember him looking in the movie. This one looks a lot busier and the head looks a lot thinner than I remember. I assume this is more based on earlier concept art? UnderYourCloset wrote: Isn't this an action figure though and not a statue? 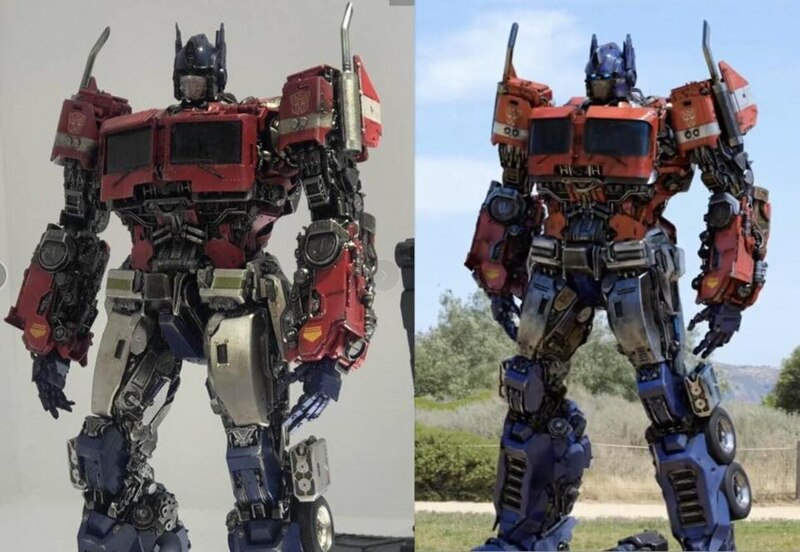 Someone actually did some side-by-side comparisons of it with the final movie model, and it's mostly pretty much spot-on, although the head does look thinner (wondering if that's just the angle/aperture warping it or not). Thats my bad, god bless the edit feature. The article has been corrected! Thank you. 5,027 pages were recently viewed by 1,061 unique visitors. This page was viewed 4 times on Saturday, April 20th 2019 9:26am CDT. © 2019 Seibertron, Inc. DBA Seibertron.com. All Rights Reserved. Established June 2000. Seibertron.com is owned by Ryan Yzquierdo.